If you are looking for an inspirational yet practical conference or offsite session, Smart Work or Smart Teams could fit the bill perfectly. Smart Work, based on Dermot's best selling book, delivers powerful personal productivity strategies that can be implemented immediately. Smart Teams, based on his new book, will help your team to reduce productivity friction when they communicate, congregate or collaborate. Whether you are looking for a keynote presentation or a practical break-out session for a larger conference, or a short hands-on session for a team offsite, we can help you to create some energy, excitement and behavioural change for participants. 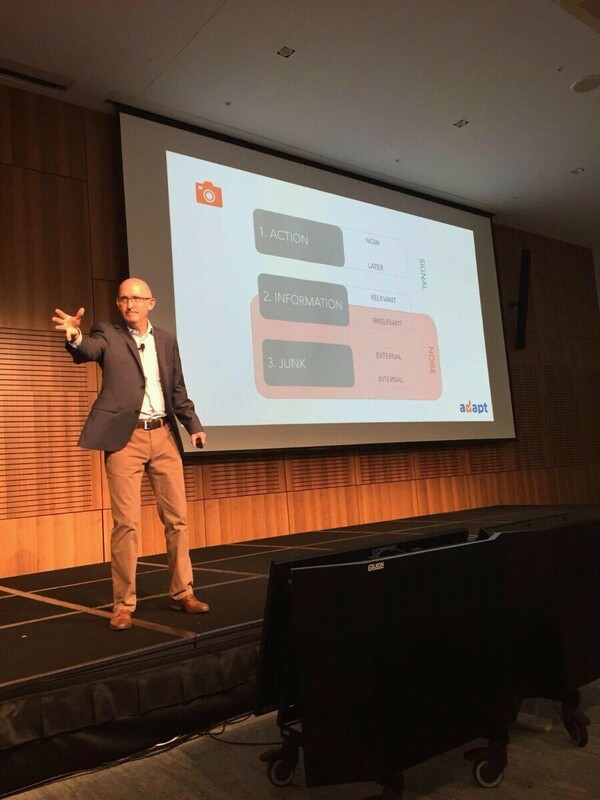 Contact Dermot on 0402 981 015 or email dermot.crowley@adaptproductivity.com.au to discuss how he can make your next conference of team offsite the most productive ever, or visit the Adapt Productivity website for more information.